Since menorahs are the most often associated symbol of this holiday, I'd like to share twelve of the most wonderful do-it-yourself menorah craft ideas. Any of these will be loads of fun for both kids and grownup big kids to create either alone or together -- depending on their ages and abilities. 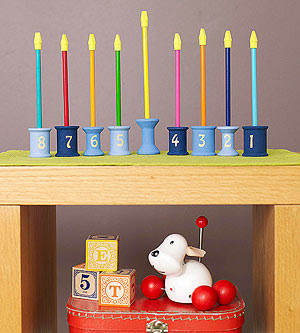 Chanukah, also known as the Festival of Lights, is among the most celebrated of Jewish holidays world wide. 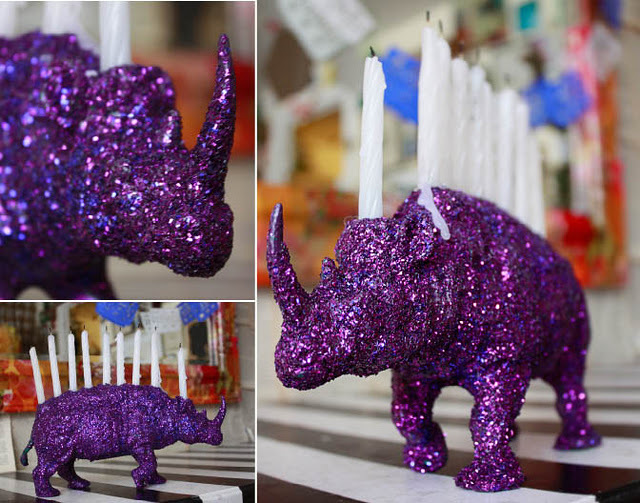 Contrary to popular belief Hanukah is not the Jewish equivalent of Christmas. 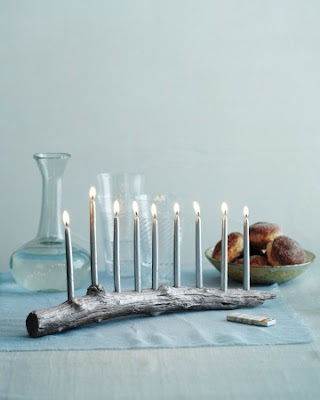 Jews light the eight branched menorah candelabra each of the eight nights of this celebration every year to recall the single vial of pure olive oil found following the Greeks rampage through the Temple in Jerusalem. Miraculously that tiny bottle of oil burned for 8 days and nights. 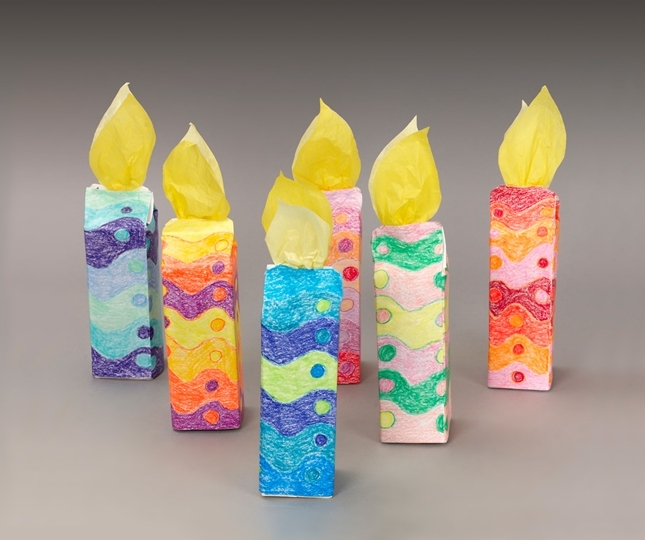 On the first night of Hanukkah, which this year falls on Saturday evening December 8th, using a helper candle called a shamash, the first candle will be lit. Each night thereafter, an additional candle is added in Jewish households on every continent around the globe until on the last night of the celebration when all eight flames will be burning. 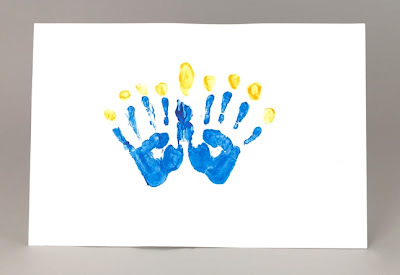 Arts and crafts are the perfect way to spend quality time to connect with your children and you'll be creating family heirlooms for future generations to enjoy. Don't forget to take pictures of your work at some of these will only last for one season. Keep in mind that except for those made with exclusively fire proof materials most of the menorahs in this post are for decorative use only and should not be used with an open flame. Here's a green way to use all those wine bottle corks you've been saving but don't know what to do with. 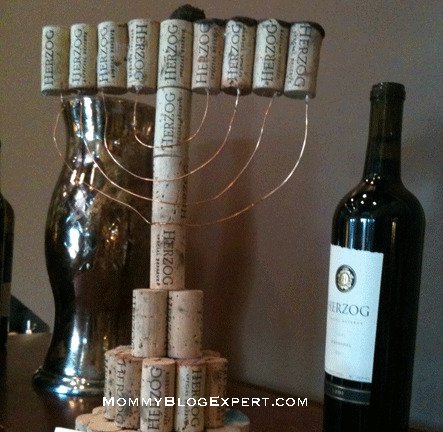 Chef Todd Aarons at Tierra Sur, the only Zagat rated restaurant in Ventura County, California, created the original recycled cork menorah with his kids that you see pictured at the top of this post. 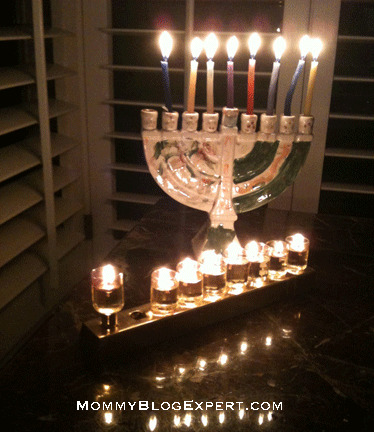 Use a hot glue gun and follow the layout shown in the photo I took or create your own menorah style. 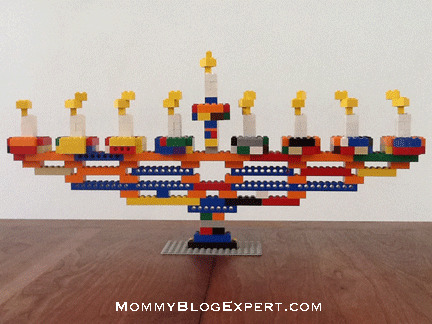 For LEGOs fans comes this original menorah made designed and made exclusively from LEGO blocks by my own children. All you have to do is look at the photo up close to see how this was constructed and then start building. If you'd like to make this a permanent part of your Hanukkah memorabilia to use year after year consider using glue so that the blocks won't fall about when you box this up after the holiday. 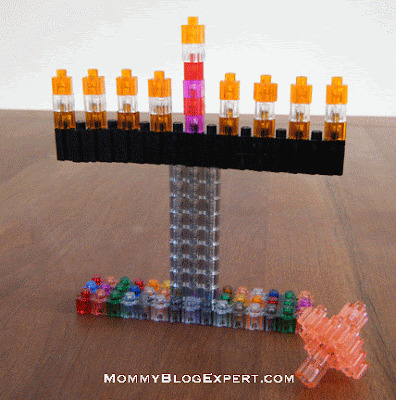 If your child is into Pixels, then this colorful Pixel Menorah and Dreidel that my children made years ago for Hannukah might be a fun project for them to build. It's easy to build, just take a close look at the photo and get started. Another idea is to go to a paint your own ceramics chain store like Color Me Mine which is where my girls went to make this heirloom quality ceramic menorah. They made this when they were about 8 years old but still use it every year even though they're teens in high school. 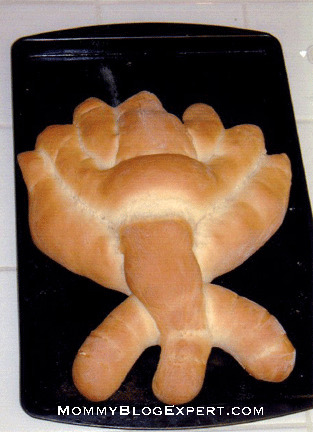 This gigantic Menorah Challah Bread measuring about 18" tall that I baked is actually edible and fun and easy to make. Based on a traditional Sabbath Challah Bread recipe, watch for another Mommy Blog Expert post soon with the step-by-step directions to make this. 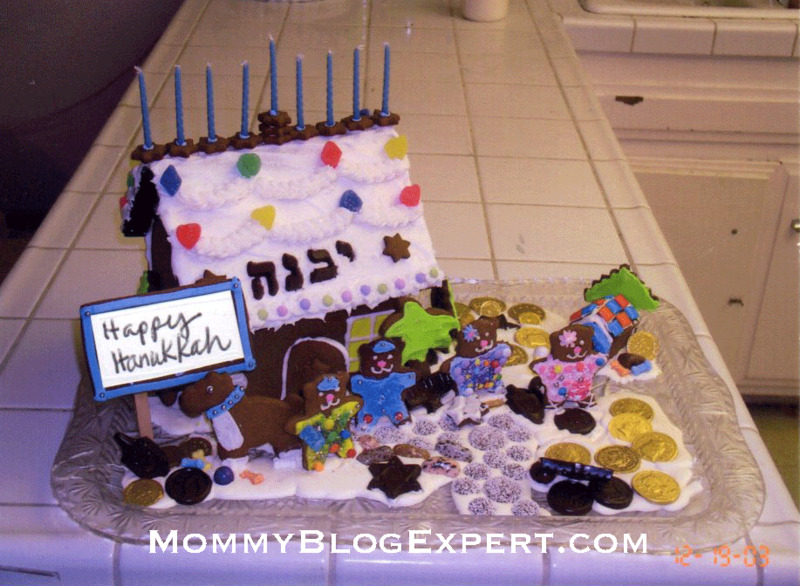 Another one of a kind baking project I made is this whimsical Chanukah House Menorah. 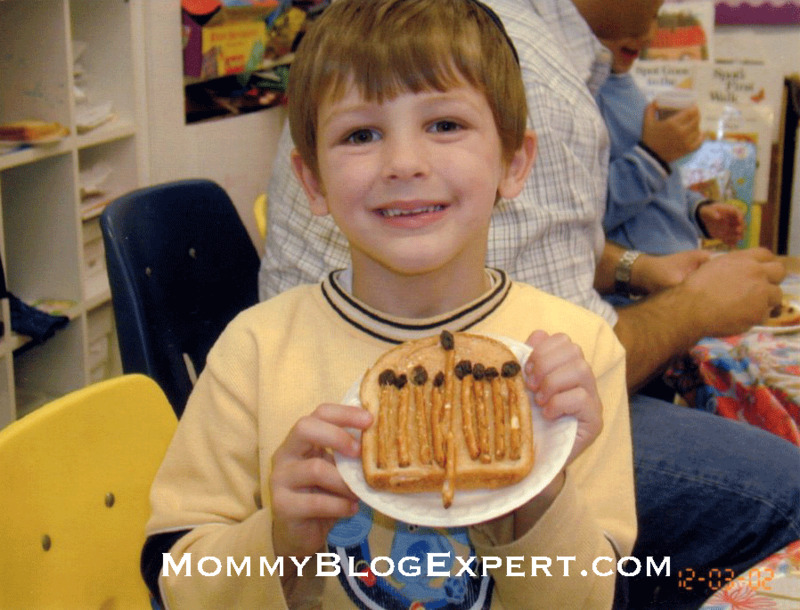 This idea was inspired by the gingerbread houses that are so popular during the Christmas holidays and is as much of a blast to make with kids as it is to carefully break it up with a hammer to eat. 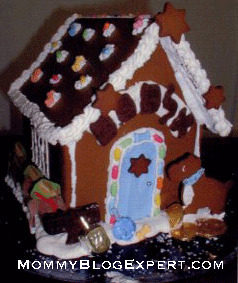 Stay tuned, cause how tos are coming to this blog shortly for you to make this with your own family this year. 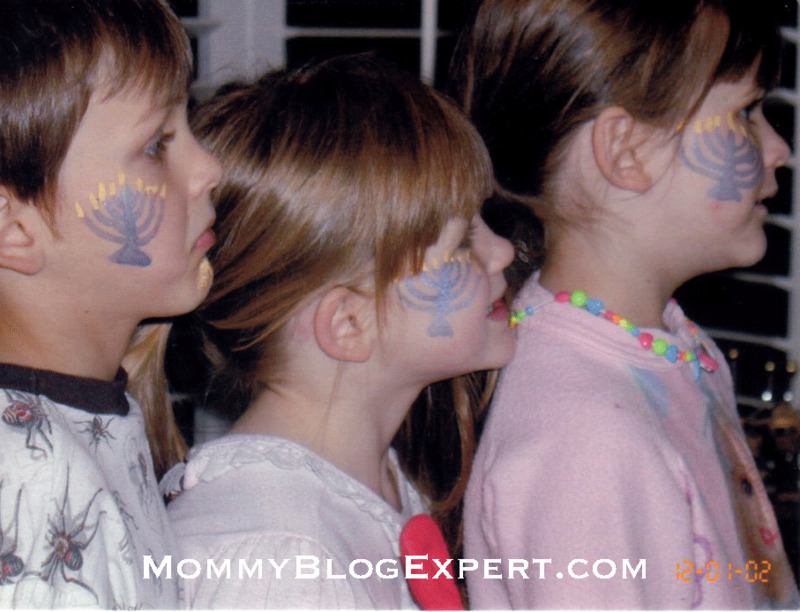 Just about all kids like face painting, so why not decorate your children's adorable cheeks with menorahs like I did when my kids were preschoolers? You don't need to go out and buy fancy face paints for this easy project. All you need is some thinned out water based poster paint. You don't necessarily need to be a great artist, either, as these menorahs are painted on to little faces in just a couple of minutes, using a few simple straight and U-shaped strokes and dots to light the candles -- and you've created a menorah!